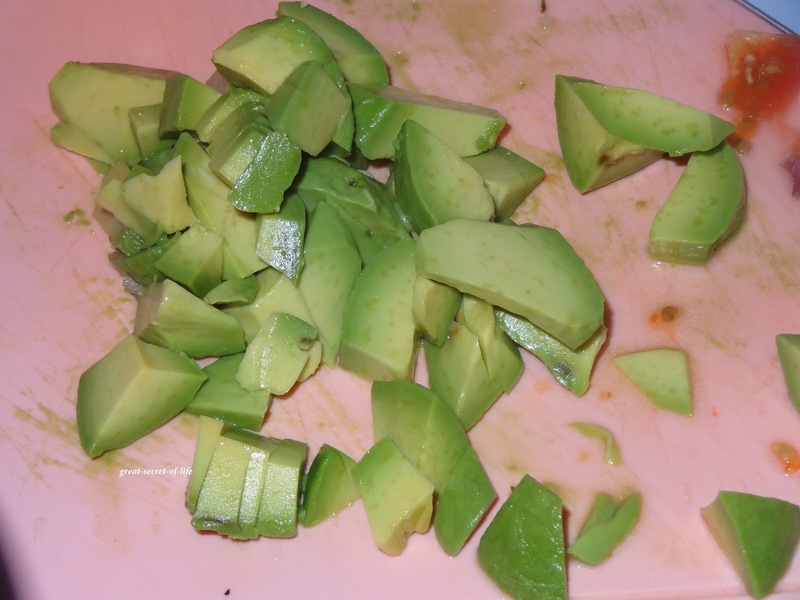 If you are following me you would have realized by now I am big fan of Avocado. 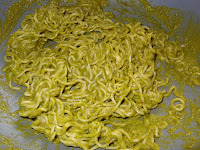 Every Saturday my kids eat maggie noodles for breakfast. 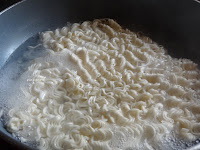 I sometime do noodles for my husband and myself too. But for us we will try different kind of noodle. 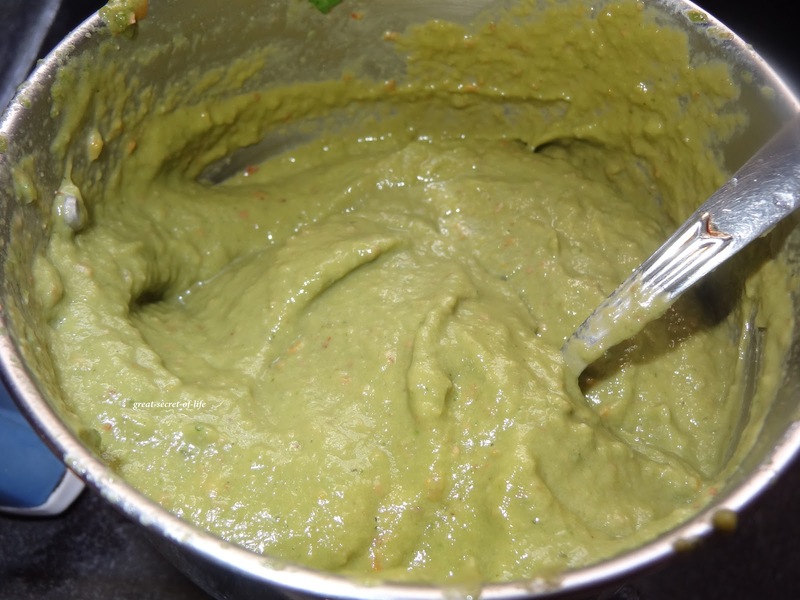 This week I wanted to try noodle with Pesto sauce I had fully ripened Avocado so wanted to add that to the pesto sauce I made. It turned out to be very yummy. 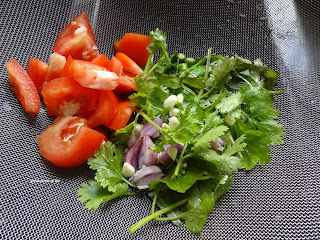 In a food processor or blender, add the basil, coriander levaves, tomatoes, garlic , almonds,Onion, Green chillies and salt. Blend until it smooth paste, scrape down the sides, if need be. 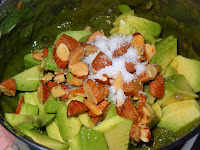 Add the avocado and blend once more. If the mixture is a bit too thick add a few tablespoons water and mix well. 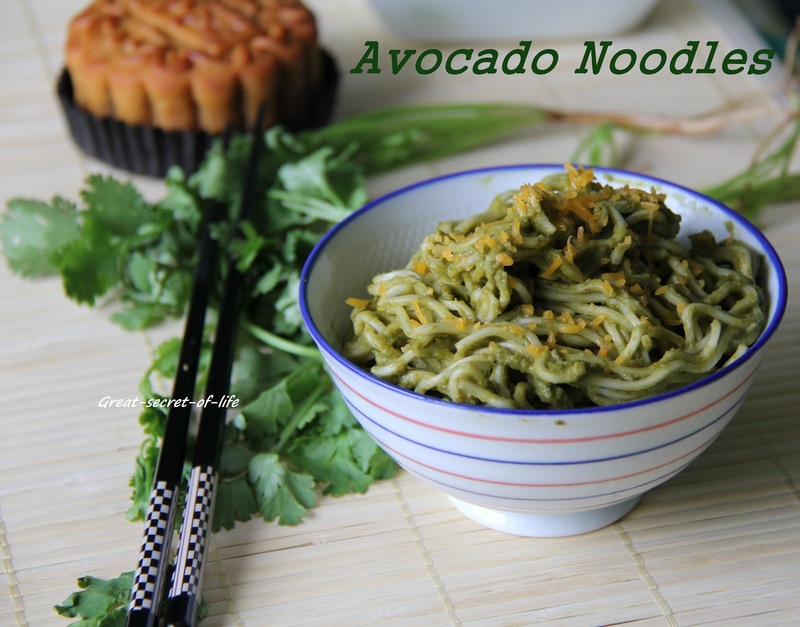 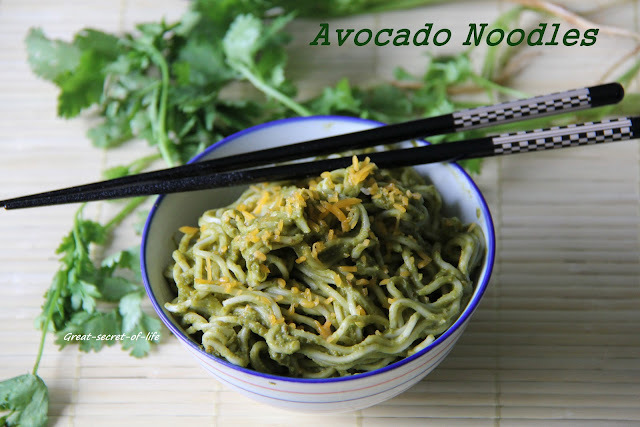 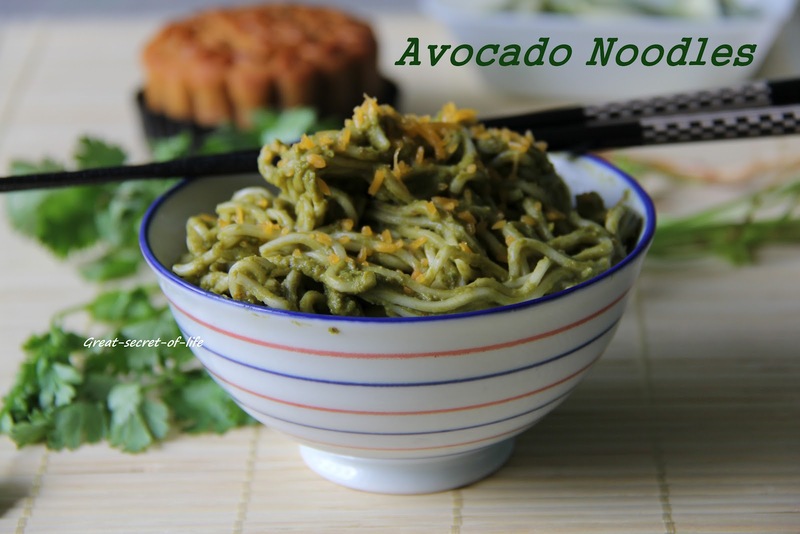 Interesting and droolworthy noodles,love the addition of avocado here. 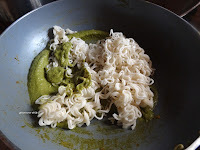 new to me.. very interesting.. 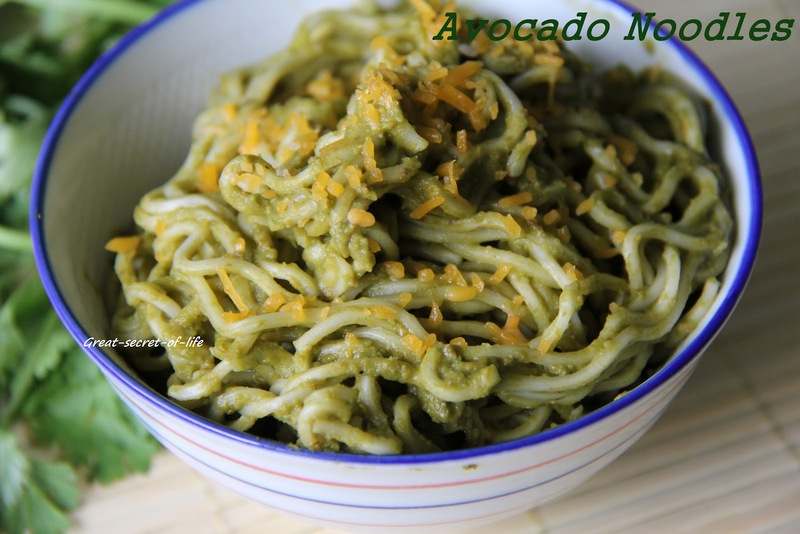 This looks delicious even though I've never used avocado with pasta. Hi there to every one, it's truly a fastidious for me to pay a quick visit this site, it includes helpful Information. 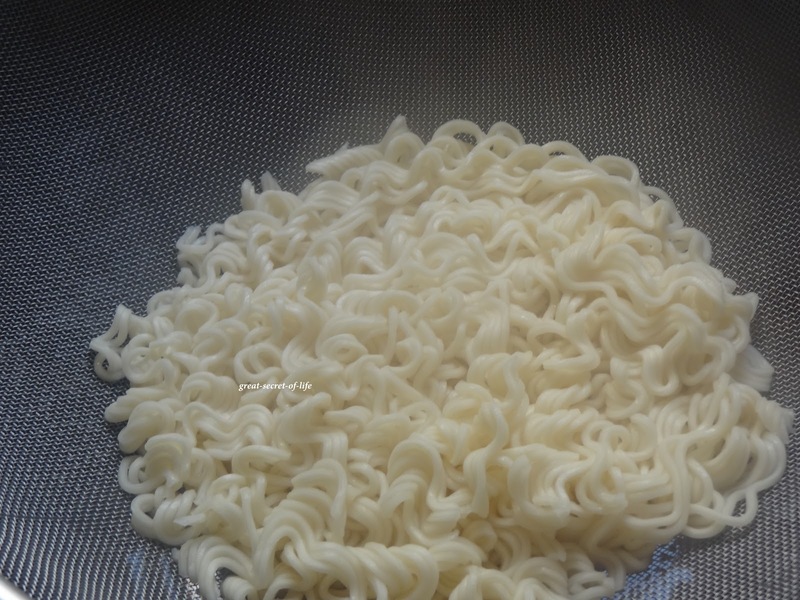 аm reading thіs wonderful article to improve mmy kոow-hoѡ.